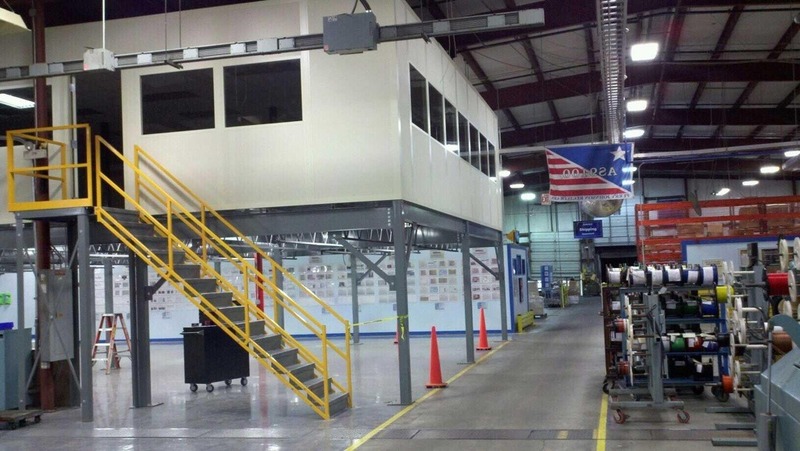 Is a Modular Shipping Office a Good Solution for Your Company? Are you looking at expanding your business to a new location? Have you started to outgrow your current staffing facilities? If the answer is “yes” to either of those questions, the modular shipping office services from Panel Built Incorporated have your solution available online! You can browse our selection of standard selections that may be modified to suit your needs and space, or you may opt to go for a more specialized design. We have a shipping office to match and/or fix your problem. You have probably seen buildings pop up rapidly at schools where you live. They have a solid system down to meet the growth of their student enrollment rates: Modular buildings. Have you wondered where to buy an office that is portable and for sale with quick shipping to mimic the speed at which these school districts grow to accommodate so many new students at once? Panel Built Incorporated is the solution to situations just like this. You may have a company that works in a large warehouse but is quickly running out of room for employees to do other administrative tasks that don’t get in the way of assembling or shipping your product. We have the best available modular shipping offices for sale anywhere! You may select a size and dimension of modular office space to place within a warehouse that is equipped with standard electrical outlets, switches, lighting and data ports. They also come with a choice of three HVAC options to ensure a climate controlled area. Have you added more employees than your old lunch room is able to accommodate? One of our modular offices may be placed easily in a warehouse or just outside of it on an underutilized part of your property to expand your lunch or break room area. You may even consider placing additional offices or a personnel locker room above the lunch room to use upward space instead of outward. This is a smart space saving solution for any personnel needs. If one of our standard selections isn’t quite enough to suit your requirements, our staff will work with you on a more specialized design that includes all the space, door and window specifications you may be seeking. There are three colors of panels to choose from: Champagne, grey and white. All three of these colors offer a professional look to go with any other color scheme that is already a part of your office design. Outside of the versatility of each modular design, there are several other benefits to deciding to purchase a modular office building from Panel Built. If your company works on several site locations at once, the mobility of these units is unparalleled. They may be disassembled in one location and reassembled in another in a fraction of the time it would take for conventional construction to take place. It also means that your company repurposes each building for a longer time by moving them from site to site. A huge benefit to you when you decide to buy a modular office from Panel Built is how quickly you receive the unit. 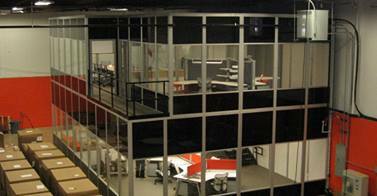 We will ship the modular office to your location in just two business days! We understand that your business can’t afford a great deal of downtime while you wait to expand and grow, so we work with you to get you up and running as quickly as possible. Special orders and designs will take the normal lead time, but you will still have your new units at your location sooner than it would take to build something in the more conventional manner. When looking for companies that sell modular offices and include shipping it directly to your existing or new office location, Panel Built is the only company to count on! If you want to keep up to date on our latest products, specials or events, be sure to join our mailing list and follow us on Facebook, LinkedIn and Twitter. We love hearing from our customers on those sites, as well, so be sure to come by there often to tell us about your experience and use of the Panel Built modular office products. Call us today at 800-636-3873 to speak to a helpful representative who will discuss the various types of modular offices to best suit your needs. You may also e-mail us at info@panelbuilt.com to receive a free quote or schedule a time to speak to someone helpful in designing modular offices to your specifications. Panel Built is the best site online to get cheap prices on modular offices while shipped directly to you.